Published: Sept. 27, 2010 at 10:49 a.m. The San Francisco 49ers have fired offensive coordinator Jimmy Raye. The team announced the move Monday, one day after San Francisco lost 31-10 at Kansas City to fall to 0-3. 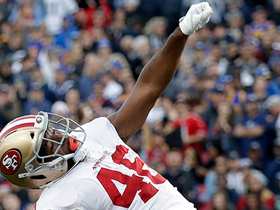 The 49ers have scored 38 points, second fewest in the NFL behind the Carolina Panthers. Mike Johnson will move from quarterbacks coach to offensive coordinator. Offensive assistant Jason Michael will take over as quarterbacks coach. Niners coach Mike Singletary said he made the decision after spending the night looking at game film. "One thing I want you to understand is if I make a decision, it's my decision," he said. "The thing that I have control over is the 53-man staff, the 53-man roster and the staff, who is on my coaching staff. That is my decision." 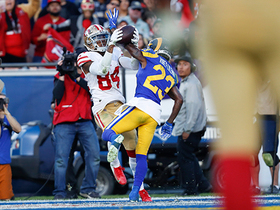 The 49ers were considered the favorites in the NFC West this year, but their offense has stalled, plagued by turnovers and a weak running game. "I just felt that for the overall scheme of things, where we are, I just felt that right now that Mike Johnson would do a good job," Singletary said. "I think Mike will do a good job of bringing the staff together. I think Mike is a great communicator. I think Mike is a great teacher. I think he's a visionary. I think he understands what we're trying to accomplish and I think the players will embrace him." Singletary denied any knowledge that the Chiefs knew the 49ers' offensive signals, saying he hadn't heard anything about it. Raye was in his second season with the 49ers. He has spent more than 30 years in coaching, including a previous stint with San Francisco as wide receivers coach in 1977. Raye and Singletary often disagreed on how to get the offense rolling. Quarterback Alex Smith has been inconsistent, as have the receivers, with only running back Frank Gore a steady contributor. "You know the nature of the NFL. We all know getting into it," Smith said. "This is a results-oriented business. The fact that we're 0-3 and haven't performed up to our level of expectations, these are the things that happen. Changes are going to be made. "We're here to score points and win games. That's the offense's job, and we haven't been doing that. We got outplayed just as much as we might have got out-coached on Sunday. There's no doubt about that. We're all involved in this, and we're all accountable." 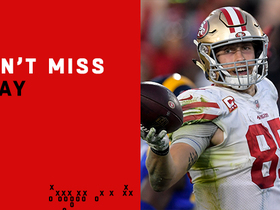 After the 49ers' 31-6 loss to the Seattle Seahawks in the season opener, Raye took the blame for the team's problems on offense. "I bear all the responsibility for the way we operate on offense," Raye said then. "I'm the leader. It's my watch." But Singletary wasn't having any of that blame-sharing, anyway. "I would put all of it on my shoulders," Singletary said. 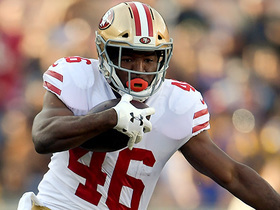 The 49ers' shakeup extended to the locker room Monday. A league source told NFL Network insider Jason La Canfora that the team benched two veterans on defense -- safety Michael Lewis and linebacker Takeo Spikes. Singletary disputed that in his news conference. "I don't know where that came from," he said. "There could be some changes, but I don't know where that came from."